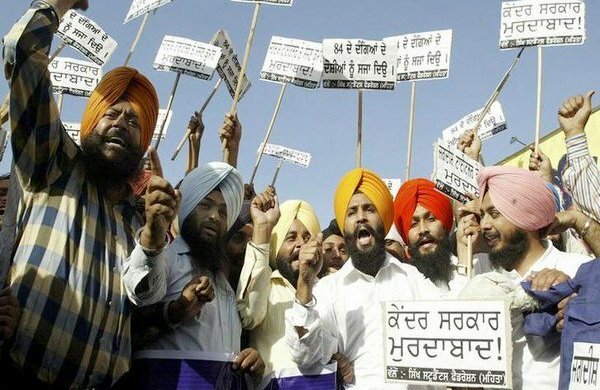 — Delhi court awards first death sentence in a 1984 anti-Sikh riots case. Death sentence announced to Yashpal Singh & life imprisonment to Naresh Sehrawat for killing two Sikhs during the 1984 riots. — Sushma Swaraj not to contest 2019 LS Polls due to health reasons. — Muzaffarpur Shelter Home Scandal: CBI arrests NGO Manager Saista Praveen alias Madhu. — Delhi Police detained one person for allegedly throwing chilli powder at Chief Minister Arvind Kejriwal, near his office. — Vishweshwar Reddy, MP from Chevella Konda, resigns from Telangana Rashtra Samithi (TRS). — 64.8 % voter turnout recorded till 5 PM in the second phase of Chhattisgarh Assembly Elections. — CBI files a case in killing of 12 persons in an encounter in Palamu in Jharkhand in June 2015 & were termed as Naxals by police. — One-year-old girl escapes unhurt after a train runs over her at Mathura Railway station. — Delhi High Court reserves order on a plea seeking re-election of Delhi University Students’ Union (DUSU) claiming that the DUSU chief had used “fake certificate” in securing admission in the University.